When it comes to children’s clothes I always look at the quality, does it look good?, will it wash well? will it last? So when I was sent some items from the new Autumn/Winter range of Vertbaudet, an online children’s clothing company originating from France I was keen to see what the clothes were like. Although I had heard a lot of good things about Vertbaudet, I had never actually tried them out for myself. We received a girls striped cotton knitted dress for Miss M, a perfect wardrobe staple for the winter. This can be worn with tights or leggings and is soft so you know will be ultra comfy to wear. You can see from the knit on this that it is well made, a good thick quality with a smooth finish to the dress. The stripes on the body of the dress match across to the arms, something I always like to see. The added detail of a different coloured stripe across the top with a little woollen bow is the perfect finishing touch to this simple design. We liked this Vertbaudet dress and think it’s a great winter dress for all occasions, it hung nicely on the body and the length was great too – not too short. For Mister B we received a Vertbaudet boy’s jumper, I love the style and the colours – in fact it couldn’t have been more perfect as the colours and style are what I would have chosen. Again this jumper is well made with nice detailing on the backs of the arms and the buttons around the collar. 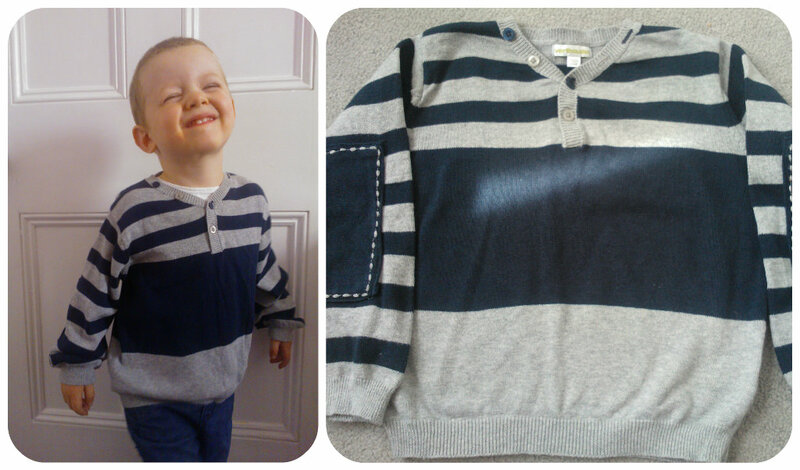 The jumper is soft and comfortable to wear – in fact Mister B loved it so much he didn’t want to take it off and wore it for the rest of the day. It did mean I had to wash it due to dinner spills so the photo below on the right is after washing. The jumper washed beautifully, stayed in perfect shape, all stains gone, and no bobbling in sight – a sure sign of a good quality jumper! 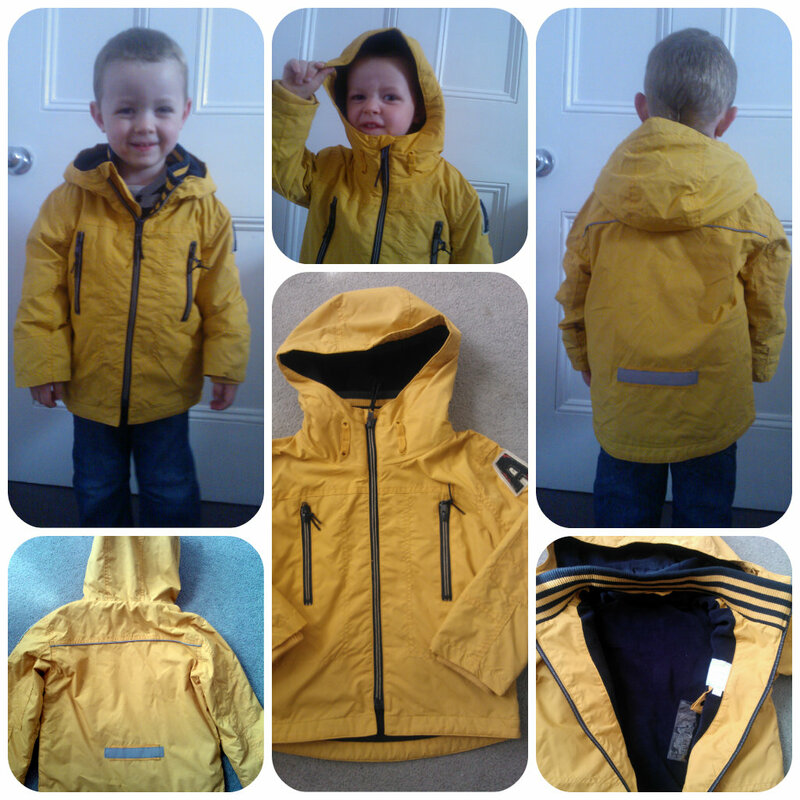 Mister B was also lucky to try out a boy’s Vertbaudet yellow Parka coat. The coat is 100% showerproof on the outside with a soft warm fleecy lining on the inside. I love the detail on this with lots of zipped pockets and a badge detail on one arm. It also has a reflective strip on the back so they can always be spotted on those dark mornings or winter evenings. This coat fitted Mister B perfectly, I loved the way the hood came right over his head to protect him and could be zipped up high with a tab going across the top of the zip. The quality of this jacket is wonderful, exactly what you’d expect from Vertbaudet. I look forward to testing this out more through the winter months but I have a feeling Mister B will remain warm, snug and dry all zipped up in this cosy but stylish coat. I highly recommend taking a look through Vertbaudet’s Autumn/Winter collections, some lovely pieces and it all looks like it would be of the same high quality as the pieces we tried.